If you’ve visited any of my other Halloween Posts, then you probably already know that I LOVE this time of year. Especially Halloween. It’s partly because I love excuses to eat candy, but it’s also just a fun, no-pressure holiday that can be enjoyed with family and friends. I have thrown quite a few Halloween parties, and have realized over the years that the simple recipes with a spooky but fun presentation score the best. I’ve compiled a list of my favorite go-to’s, and most of them are easy enough for last minute planning! A simple meat and cheese platter is always a party favorite! Especially if you make it super creepy with a small skeleton (about 30″ is best) and clever placement of the “guts”. I would just make sure to wash the plastic parts of the skeleton that would have contact with the food. There’s no cooking, baking or planning involved with this easy appetizer, and it’s perfect for a buffet! Just about any dip can be served this way, and it’s always a hit! I made this last year with guacamole, but you can also serve it with a cold spinach dip, a 7 layer taco dip or even a thick ranch dip with veggies and potato chips. If you are looking for a fun and spooky way to serve fruit, this is it! It’s very similar to the puking pumpkins idea. 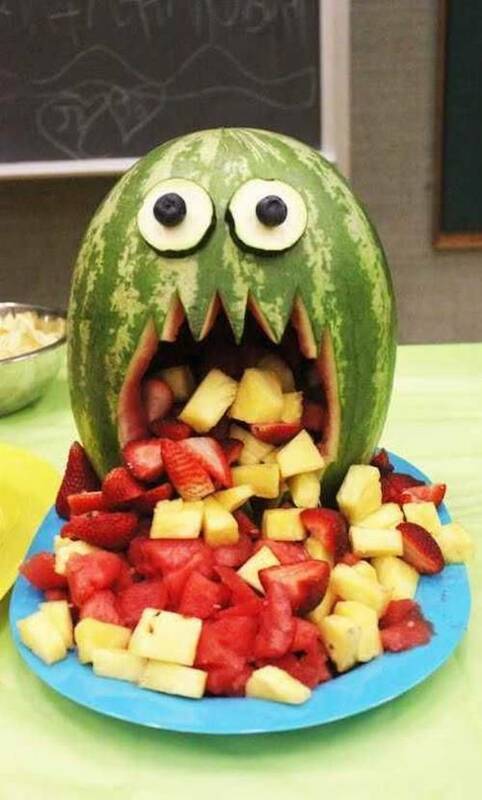 To make the watermelon monster, cut off the bottom quarter of the melon as flat and even as possible (this will be the base of the monster and you want it to stand up properly). Then use a knife to slice the watermelon guts into bite sized chunks, and then a large sharp edged spoon to scrape the watermelon chunks out. Once your melon has been gutted, use a knife to carve out a large jagged tooth opening. For the eyes, use toothpicks to attach cucumber slices and blueberries. Easy and fun! This is a Halloween party classic! And this is by far the most beautiful pumpkin shaped cheese ball I’ve ever seen courtesy of Baked in Arizona. Although this delicious and cheesy pumpkin looks like it might be difficult to make, you would be surprised by the simple ingredients and easy technique to get that perfect pumpkin shape! Go check out the recipe and instructions here. These cute little guys are nothing less than Ahhhmazing! They have just the right amount of spice with a touch of buttery sweetness in the crescent rolls. You will find a fun video tutorial and step-by-step instructions for these Jalapeño Popper Mummies over at Fast Forward Fun. With just 2 simple ingredients, you’ve got one of the BEST party appetizers! Kids and adults love these little guys. You will find the basic instructions for this recipe over at All Recipes which uses Hillshire Farms Lil’ Smokies, but you can also use hotdogs cut in half. I would also suggest using mayonnaise and olives for the eyes to make these mummies really come alive! Use a plastic zip bag with a tiny hole cut in one corner to help pipe the mayo onto the face. I’ve seen these made in the past with that nasty canned spray “cheese”, but I love Kevin’s idea from A Garden For The House so much better! He used a flavored herb cheese with a clever way of getting the perfect little mounds. Go check out the instructions and ingredients here, along with a tutorial on how to cut the perfect olive “spiders”. How creative is this?! It’s basically everyone’s favorite taco ingredients layered onto a large plate or bowl with a sour cream spider web that has been piped onto the top. I would also use black olives to make a few edible spiders crawling on top. Check out the simple recipe and instructions over at The Sister’s Cafe. I’m seeing a trend here with black olives! They sure do come in handy with all of these creepy Halloween appetizers. These clever eyeball meatballs from Delicious Travels are no exception, and boy do they look good! They’re also gluten free and low carb. I would use festive halloween food picks to make them easier to eat. Check out the recipe and instructions here. Deviled eggs are one of my favorite go-to party appetizers so I had to include them on the list. There are a ton of fun and creepy ways to jazz them up for Halloween! 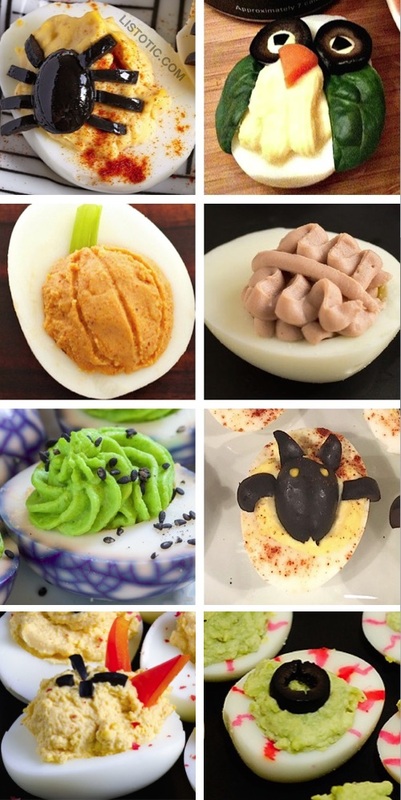 Check out my list of creative deviled egg ideas to get inspired. If you’re anything like me, you are going to love to make all of these easy and insanely cute Halloween treats…. for kids and adults! Favotire DIY costumes for kids that can be made using cheap materials with no sewing involved. Most can be last minute! 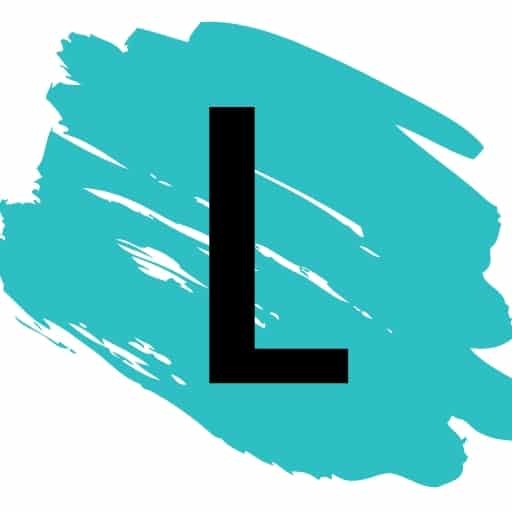 Artsy, easy and fun! That’s the way decorating should be done! Check out these awesome DIY Halloween decorations. I’ve found that the trick to getting my kids to eat healthier options is to just make it FUN! That’s what Halloween is all about, right?